Have you ever imagined a day without WhatsApp? Recent statistics revealed that an average WhatsApp user spends nearly 3 hours a day in WhatsApp and Facebook! But do you know some of the secret WhatsApp Tricks that can take your WhatsApp experience to the next level? From disabling read recipients to hiding last seen, there are loads of tricks to make WhatsApp, the best instant messaging application online! Use the WhatsApp tricks mentioned and you’ll be a pro in no time at all. Turn on the Airplane Mode or Flight Mode on your phone. The feature of blue tick has brought many relationships to an end! Here’s another way you could annoy your loved ones, thinking what? Now you can find out the exact time your messages are delivered and the exact time when your message was read by your friends. Go to your WhatsApp chat window and hold on any of the messages you’ve sent in that chat window and click on “Info” option. And this will show the time your message was delivered and subsequently delivered. Want the message in bold type? Use the star key on both sides of the *text*. If you want the strikethrough type, use twiddles on both sides of the ~message~. You can send messages to more than 256 contacts in a second without creating groups. Wondering how? Go to Chats > Menu > New broadcast. Press “+” or enter the names of receivers. The message will be delivered to every receiver you have chosen. Plus, all the necessary contacts will get the message in the usual way. Their answers will be seen only by you and not the other contacts on the list. You don’t see the time a contact was last seen online. You don’t see new avatar pics in the profile of a contact. All your messages are ticked once (the message is sent) but not twice (the message is delivered). You create a group chat, but you can’t add a contact (that probably means you are blocked). However, all these signs don’t guarantee that you are 100% banned. Your contact might have changed the visibility settings. WhatsApp usually automatically saves all your media sent while chatting. But very often it “eats” the memory storage of your smartphone, and you wouldn’t like to miss installing a new cool app. If you wish to turn off the autosave option, For Android: go to Settings > Data Usage, and choose the necessary parameters of file downloading. Just now, I’ve tried this feature! It’s simply amazing! Has your friend sent any private voice message to you? Feeling awkward to hear it in the public place without headphones? Hold your phone to your ear, and WhatsApp will change the loudspeaker mode to inner speakers. This app knows much more than you can imagine. If you’ve received an important message from your friend, just tap the message and click on the start icon in the top of the screen. Now it can be easily found in the starred messages tab in the main menu. Now, there is no need to waste more time the next time by searching the important messages! The bubble or pop-up notification in the corner of your screen shows that you have a new message in WhatsApp and who the sender is. All you need to do to turn this option on is to download the “WhatsBubbles” app and synchronize it with your WhatsApp and turn the bubble notification mode on. Voila! Catch the nice bubble messages on your screen! Connect your mobile with your pc via USB cable. msgstore-yyyy..dd..db.crypt file contains all the messages sent or received in last 7 days. Open it with notepad or WordPad to view and read messages. Do you know you can easily create a person’s shortcut on your phone home screen? Keep the contact pressed for few seconds and a pop-up menu will appear. In it choose Add Conversation Shortcut and your shortcut will get created. Have you just changed your SIM? Need to use the same whatsapp account using this new number? Whatsapp have a setting in which it allows anyone to change the phone number. Now you can change your WhatsApp chat background as per your mood and think! Go to any chat window and choose chat wallpaper. It will come by pressing the same key on your phone which brings you the menu to status. Once you enter a friend’s chat, press the key there. A pop-up menu will appear. In it choose wallpaper and change the wallpaper. This is the new feature announced by WhatsApp recently! You can share your current location so that he can trace you out in a few taps. Just tap on the attachment icon. The same one with which you use to attach pictures. From there you can share your location also. Make sure to turn your GPS for doing this. This feature has saved many relationships! 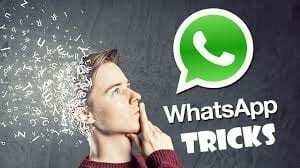 With this trick, you can hide when you are last checked your whatsapp. This becomes handy if you want to remain anonymous about your whatsapp behavior. Go to settings and change the privacy setting, Last Seen as Nobody! Spammers can download your picture and use it for illegal purposes if they got your whatsapp number. That’s why it’s important to hide your display picture by changing the settings. Go to settings > Account > Privacy > Profile photo and Choose my contacts. This is really important for security purpose. Are your WhatsApp messages holding more storage space? Now you can create a backup for your whatsapp messages to Google Drive and retrieve it whenever needed! Open http://web.whatsapp.com on your pc and scan the code. Select attach files, upload and send an image to you. Now as you can see I uploaded a 5 MB image and it got compressed to 593KB. Same can be done to transfer mobile media to pc. Select and upload any file from your mobile and send it to yourself. Press the group icon for a few seconds for the menu to appear and click on the option group info. Choose custom notifications and click on notification tone and select your fav notification tone for your favorite group. The new whatsapp feature that is taking everybody’s breath away is the doodles and stickers addition to images and video sharing. Just go to whatsapp and press any contact for more than few seconds. Click on email conversation. Send your conversation via Gmail or any other email. You can now change the front and rear camera by just double tapping on the screen, once the WhatsApp camera is opened. While recording videos, you can zoom in or zoom out by sliding two fingers up or down. Using this quote feature, you can reply to the specific message without creating any confusion. Long press the message which you need to send a reply and then choose the reply icon and type your message. If you’re overseas and you get a new data SIM, there’s no need to go through the hassle of registering the new number attached to the SIM and adding your contacts again. When you put your new SIM in and activate WhatsApp, you’ll be prompted by the messaging service to register the new number. Now you can save data usage on calls. Pop into Settings then Chats and Calls. Right at the bottom, you’ll find Low Data Usage. Turn that on to decrease the amount of data used during calls made via WhatsApp. Read those messages but forgotten to reply? Marking those messages as unread will help you remember to come back to them later. Android users can achieve the same thing by long-pressing on a chat, then selecting Mark as Unread from the top-right menu. Go to Settings, Notifications, then Popup Notification, and choose from four different options. You can change this setting for both individual messages and group messages respectively. Ever sent a mistake to the wrong person by mistake? Now within 7 minutes, you can delete the message which you have sent! Be sure to select Delete for Everyone for it to disappear; There will be a message to let your contact know that you deleted a message, but you can come up with a decent enough excuse for that – just be sure to act before those blue ticks appear by sending an apology. Download WhatsApp Web app in your PC and mobile for receive Whatsapp notifications. Send images from WhatsApp directly to others via Gmail, Bluetooth, Share it etc. Amazed by reading all these whatsapp tricks! Have you tried using these tricks on your WhatsApp? By learning and using these tricks, you can enjoy WhatsApp and utilize it to its full potential. Do you like these tips? Let us know what are your favorite tips and tricks for WhatsApp by commenting below! Stay tuned with BulkQ to know more! How to Setup WeChat Payment?